Plan better routes. Increase your profits. Our clever route optimization algorithms create feasible and cost-effective routes at the click of a button. You enter or import your delivery data and then Paragon’s routing and scheduling software provides you with a transport plan that optimizes truck and driver utilization while meeting customer delivery requirements and your business KPIs. When your fleet is clocking up fewer miles, you save money. For many operations, it really can be that simple. Fuel and maintenance costs fall and, as your business grows, you require fewer trucks and drivers to support growth. The best route plans must take account of thousands of permutations. A human is not a computer. Without the aid of smart software, route planners spend too much time developing inefficient plans. With Paragon routing and scheduling software, you can easily model “what if” scenarios, such as the impact on cost and service of using larger vehicles or of relocating a warehouse. Also, you can easily share delivery data with other departments to inform strategic decisions. 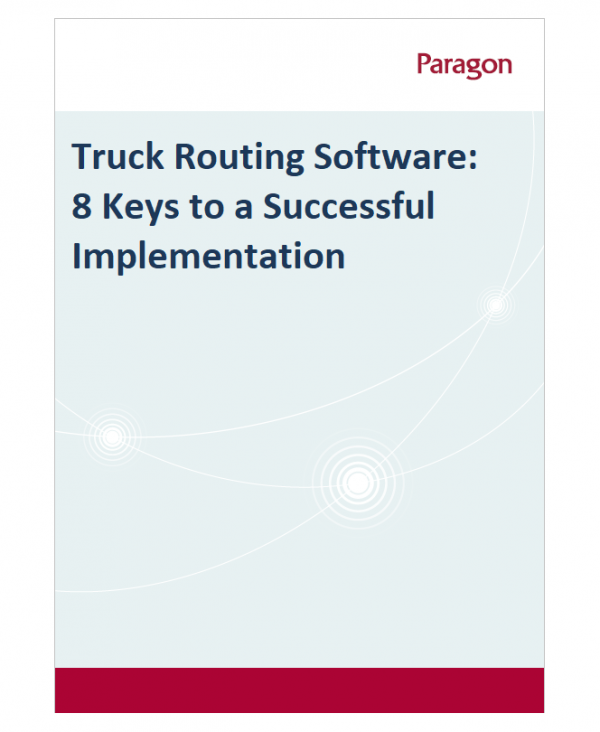 Choose the Paragon routing and scheduling software that fits with the scale of your transport operation. Once you have chosen a core Paragon route optimization product, you can add any of the following modules to your solution. Build highly accurate routes taking into account one-way streets, road speeds, restrictions and more. Help drivers stick to the plan, track their progress in real-time and alert your customers of any potential delays. In addition to easy integration with systems such as Dynamics, SAP and Oracle, we also interface with more than 40 telematics systems, worldwide. Integrate a robust daily planning process that streamlines route planning, cuts transport costs and improves customer service levels with real-time data for continuous improvement. Once you have finished your daily planning process, you can use the same Paragon routing software to model "what-if" scenarios to understand the impact of change on your transportation operation. Whether you have questions about our routing and scheduling software, customers or pricing, contact us and we’ll connect you with one of our experienced team.